Child Labor Laws—Notice of Proposed Rulemaking—The United States Department of Labor (DoL) is proposing revisions to the child labor regulations issued under the Fair Labor Standards Act. Perkins Reauthorization – The U.S. Department of Education Office of Vocational and Adult Education and the CTE community have begun discussions on the reauthorization of the Carl D.
Farm Bill Reauthorization – 2012 will mostly bring in a renewed interest and commitment on the part of Congress to reauthorize the Farm bill. 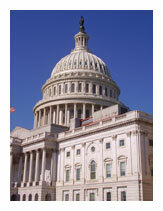 Elementary and Secondary Education Reauthorization Act of 2011 – In mid-October, Senator Tom Harkin (IA) introduced the long anticipated Elementary and Secondary Education Reauthorization Act of 2011. This year we have two candidates for the office of NAAE President-elect. Read each candidates' statement to get an idea of their priorities and goals if elected. Elections will be held at the upcoming NAAE Convention, so get informed now. My agricultural education career began in 1989 as a 7th grader who competed in the parliamentary procedure contest. Through Junior High and High School my love, admiration and passion for agricultural education grew and confirmed that this was the career choice for me. The experiences I had were a result of educators taking an interest and pushing me to be successful. I am an agricultural educator at Des Moines Area Community College in Ankeny, Iowa. During my 33-year career, I have taught at the high school and postsecondary level with the goal of preparing my students for the agriculture industry. I have taught animal science, agronomy, agricultural mechanics, horticulture and agricultural business applications utilizing classroom instruction as the vehicle for developing student leadership. Sec. 1. The bylaws may be amended by a 2/3 vote of delegates present and voting at the annual meeting, providing the following provisions are met. (a) Proposed amendments must be adopted by at least one Region or recommended by the Board of Directors. (b) Proposed amendments must be sent to the Executive Director at least 90 days prior to the annual meeting. (c) Affiliated state associations shall be notified of proposed amendments at least 60 days prior to the annual meeting by the Executive Director. FFA has launched an exciting program for everyone who has been influenced by FFA. They want to hear from current members, former members and everyone else whose lives have been touched by FFA! Share your stories—past and present—and comment on how FFA has impacted your life! Register at www.ffa.org/connect beginning September 20th. Did you know that first year members get $60,000 life insurance for free from TIE?